VETgirl understands that ivory tower medicine is not available to most, and not necessary for many. We practice real-life medicine. We offer no heroic proclamations, drama, or even a fancy PowerPoint with animation. Practicing real life medicine is tough and we understand that we are all in the trenches together. 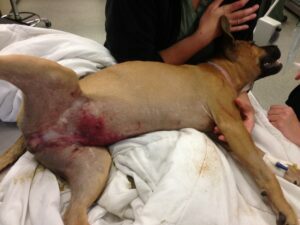 For VETgirl ELITE members only, we present VETgirl Real-Life Rounds. Real-Life rounds will be a webcam-based, interactive session where VETgirl ELITE members will have the opportunity to interact with specialists during an informal 20-30 minute session on specific topics. 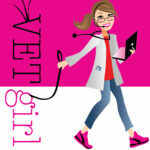 VETgirl Real-Life Rounds are available for VETgirl ELITE members only! Subscribe today to become a VETgirl ELITE member, not only for our Real-Life Rounds, but also to access over 100+ hours of RACE-approved, online veterinary CE/year ($249). That way, you know that you have flexibility to view any of our previous rounds or webinars when you have time. All the rounds and webinars are recorded and can be viewed 24/7 after their release date for CE credit. Hi these rounds sound great, I’m not sure I can make it as I’m working at this time…will these be offered for later viewing? Like all webinars and rounds, recordings (voice and/or video) will be available for VETgirl ELITE members only. Trying to log on…logged in but can’t find the rounds button or whatever I need to do to join in/listen…??? Thanks for any help. Is this recorded to listen to later??? Hi Julie – the rounds were already given – recorded – archived – and always available for our VETgirl ELITE members. Hi! I’m an elite member and tried to watch the HBC rounds. There was an error loading media and the file couldn’t be played. I will try to watch it again later. Do you have another suggestion? Private email sent to you. please make a webinar about head trauma!